Aerospace engineers are highly paid professional in the engineering job market. However, in recent years, the availability of aerospace engineers increased drastically. This resulted in some positive and negative impact on the salary of aerospace engineers. Do you know why the aerospace engineers are known as well-paid engineers? Just before some years back, the availability of aerospace engineers was very less. The aerospace engineering is known as a Noble field of study. This situation made the demand for aerospace engineers in the industry very high as a result aerospace company gave very high salary for aerospace engineers. As a result of the increased availability of new aerospace engineers, many new startups emerge in the aerospace engineering field. Aerospace engineer salary given by this startup companies are less compared with traditional aerospace companies. Leading and traditional aerospace companies are giving high salary to aerospace engineers. In the present scenario also aerospace engineers are well-paid when compared with other branches. The salary given by the developed economies like the USA, Canada are little more than the salary given to the developing economy like India. Apart from the traditional aerospace companies India like HAL, NAL, Boeing etc. Many new companies in the field of unmanned flying vehicles emerge. Aerospace engineers in India are getting an average salary of approximately eight lakh per annum. The above figure is an approximation made by analyzing the growth of the in dusty in India. Now India is the ninth largest civil aviation sector and it is expecting that India will become the third largest by 2020. The growth in the civil aviation sector and the government policies like privatization in the space research and defense research are giving a promising future for the aerospace industry and India will become the top countries in the world which have well-paid aerospace engineers. Now a day’s aerospace engineer’s basic salary in public sector companies like HAL is above Rs.40,000 and above Rs.30000 in NAL. In the defense sector organization like DRDO will give their scientist a basic pay of 39000 to 67000 according to their grade. ISRO is one of the dream organization for Indian aerospace engineers. ISRO is recruiting aerospace engineers in their research and development sector. The aerospace engineer’s salary in ISRO is from 46,000 Indian rupees to 76,000 INR. ISRO has future plans to extend their field of work in much interplanetary mission and explore the deep universe. This trends in Indian Space Research Organization is giving good hope for aerospace engineers in India. In future, the emergence of private space competitors for ISRO will increase the high demand for aerospace engineers and this will compel all other companies to increase the aerospace engineer salary. 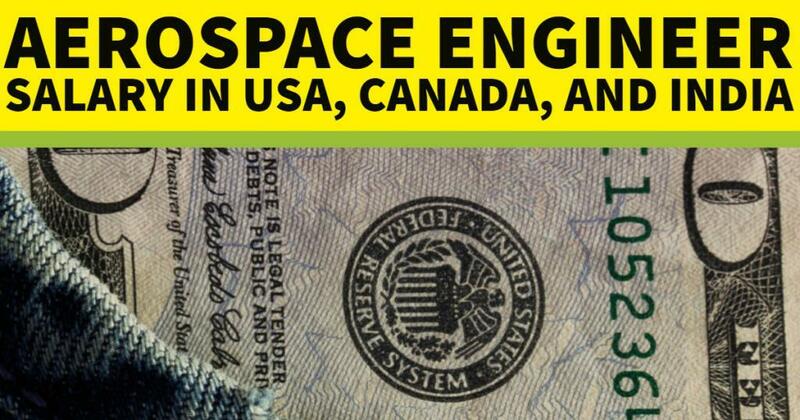 Aerospace engineer salary in the United States is much more than the other developed and developing countries around the world. When it is compared with the European countries aerospace engineers salary in the USA is almost double or three times. The basic salary of aerospace engineers working in different companies in the USA is in between 83,000 USD to 1, 50,000 USD per year. The aerospace engineer’s salary will increase with the grade of engineers and their experience. Aerospace engineer’s salary is high in the USA because of the advanced research and well-developed technologies in the field and aerospace company’s competition to develop new technologies. There is a lot of world-leading aerospace companies are based in The United States. The companies like Boeing, Airbus, Lockheed Martin, Rolls Royce etc. Apart from this company the new space exploration companies like Space X, Virgin Galactic, Orbital Science and the proposed asteroid mining companies Planetary cooperation, Deep Space Industries are an example for the advanced aerospace field in The United States of America. NASA is the leading organization in the world for aerospace and space research. The most paid aerospace engineers are working in NASA. Scientist and engineers in NASA are getting an average salary of $96000 per year. Apart from the salary, this organizations will give a social acceptance and status for the people who work here. Canada is North American well-developed country and one of the least populated country in the world. The high economic growth in Canada is able to give high salary for the people who work there. This impact also reflected in the case of aerospace engineer’s salary in Canada. Aerospace engineers in Canada are getting an average basic salary of 76,000 Canadian dollars per year. This figure is almost near to the salary in The United States. All the famous aerospace companies in the USA have their base in Canada. The leading airplane manufacturers like Bombardier Aerospace, BTR Aerospace are based in Canada. European Countries like France, United Kingdom, Russia, and Germany have well known for their aerospace technologies. The aerospace industry had emerged from the impact of Second World War. Aerospace engineers salary in different countries in Europe differs from 40,000 pounds to 60,000 pounds per year. European countries have some of the world leading aerospace companies like Ilyushin, Sukhoi, Beriev, AMAC Aerospace. The aerospace engineers salary analyzed to form the different countries and the leading company shows that the traditional trend of the high salary in the noble field of study is still there. The underdeveloped countries and developing countries are also giving high preference to the aerospace companies and continue the effort on the research in the aerospace field shows that the trend of high salary will continue in future also. 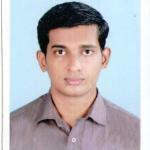 In India Aerospace engineer’s salary is much more than the other engineering fields. In recent years the job availability for aerospace engineers is also increased. The joint venture between Indian public sector companies and foreign companies and the Indian government’s policy to attract foreign and private investment in the field give threshold in the salary of aerospace engineers.